I love to blog and generally have several posts in the works at the same time with ideas on sharing a new idea or how to best explain it. I set myself a goal to blog about every week and to really stay focused on the teaching aspect of the blog. Not that the blog doesn’t sidetrack into chit chat every once in a while, but I’ve chosen to really keep the focus on knitting techniques instead of taunting you all winter with the beautiful weather here in San Diego. 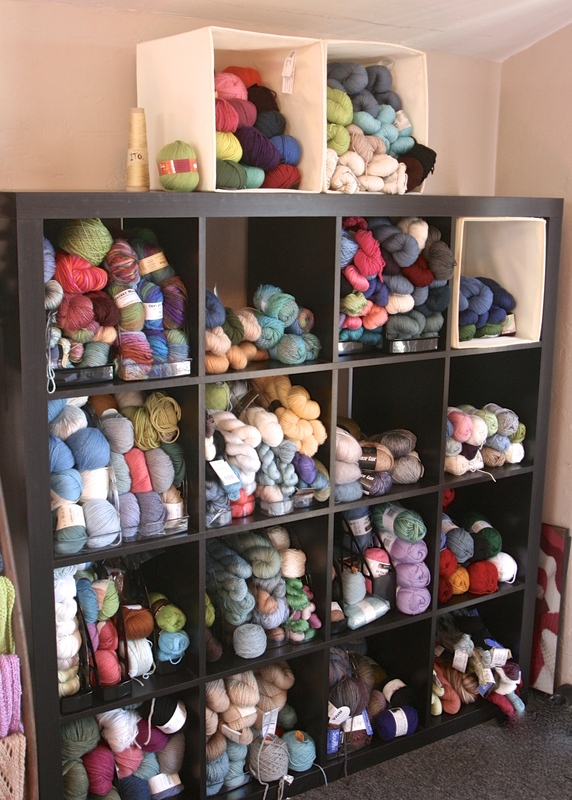 If you glance back at the very first blog post you’d see it’s titled “What Would You Do if You Could Not Knit?”. I went through several years where I couldn’t knit and sometimes, like now, there are much shorter relapses. A few years ago, I developed a chemical allergy. It’s a long crazy story, but the net of it is when exposed to things like perfume, pesticides or cigarette smoke I’ll have problems with my vision (no knitting and no computer time) and I get ‘foggy brain’ which is somehow a medical term. It’s a more severe cousin to the ‘medicine head’ you get when you take a cold medicine to get through your work day and don’t get much done. The lack of creative thought is, for me, the hardest part. I can’t write, can’t get on the computer to work on patterns and I browse aimlessly through knitting magazines and my extensive stash without any new ideas, even bad ones. It used to really upset me, until I discovered something … almost every time I come out of a relapse my brain pops out a whole host of new ideas. It’s as if it were in hibernation, working on ideas the entire time and not willing to share them. I’m continually surprised by what results and clearly have no control over the thought process. It’s generally not the idea I was pondering, but something completely unrelated or a solution to a problem I had ages ago. 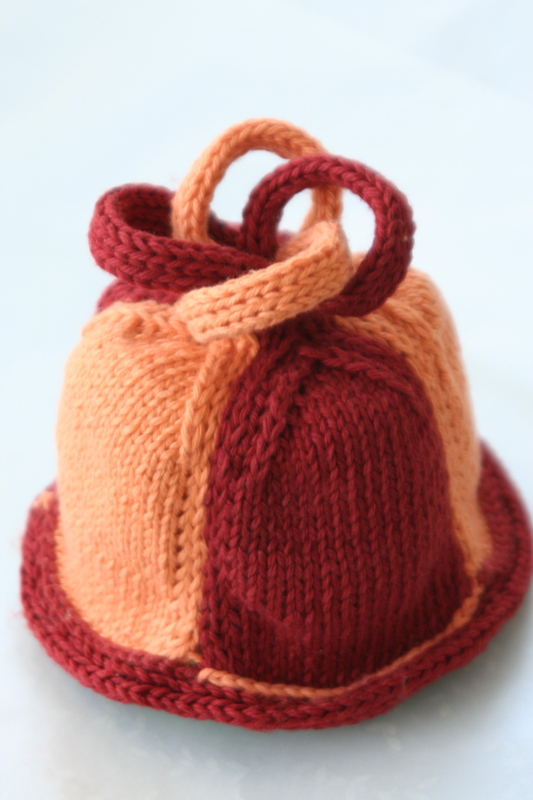 Some ideas, like the Double Decker Hat Top, you’ve seen and some fun ones like the Whirly Hat still have a few kinks. There’s a process. First I wake up very early (it’s 4 am now) with an idea, there’s frantic sketching involved so I don’t forget it. This is followed by a day of swatching, ripping and reswatching to see if the idea has any merit (they don’t always). Sometimes the processes ends with the swatch because I don’t even know what to do with it yet and sometimes it leads to maniacal knitting where I try to knit an entire project in one sitting. And that’s where we are now. Friday: complete brain drain, not a hint of an idea. Saturday: the timely arrival of new yarn in the mail and swatch-mania. 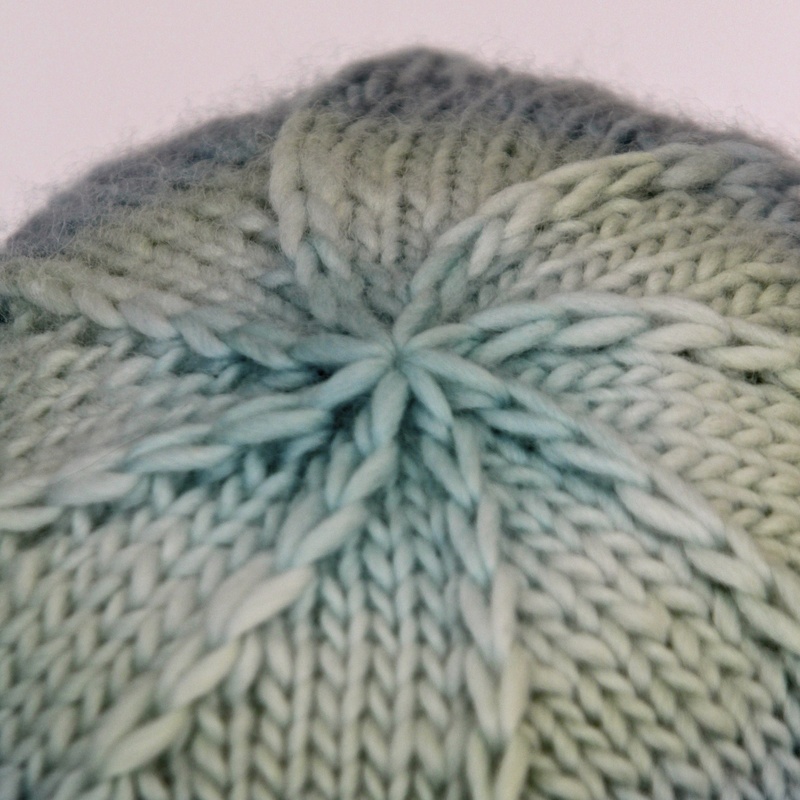 Sunday and Monday: knitting madness and here on Tuesday morning… writing. So what was this relapse’s knitting ta da? Quadruple decreases, several of them with different looks for different purposes. I had no what to do with them until I finished my tenth swatch on Saturday. Guess what they’re great for? Chevron! Think deep, dramatic chevron. Just wait till you see them. P.s. Here’s an extra photo of the Whirly Hat to answer Paula’s question below. 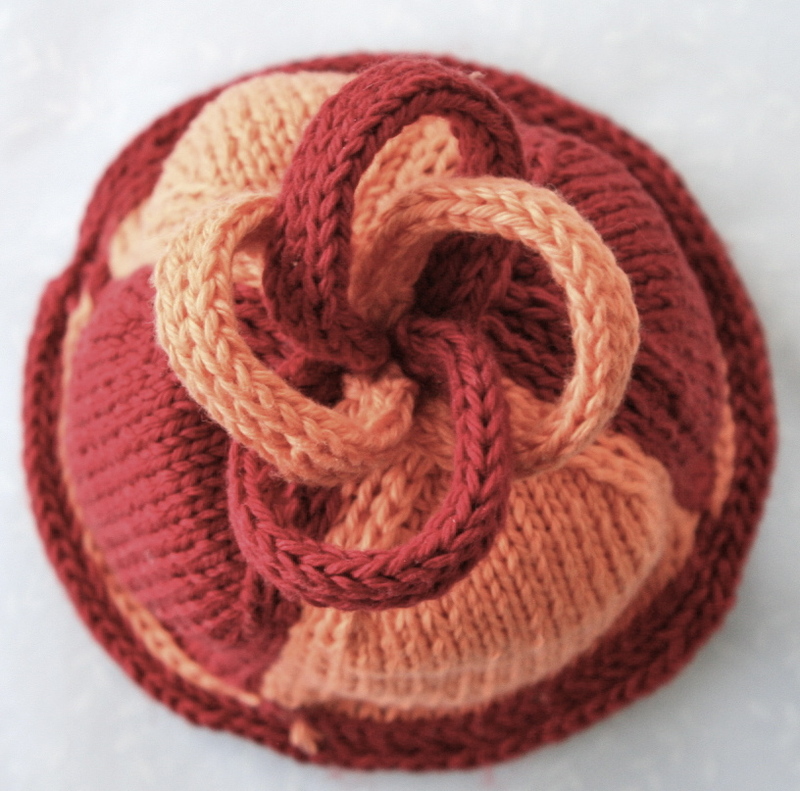 It’s a hat with Flat i-Cords creating a swirl at the top. It was knit flat and joined. The problems came in getting the sizing right and closing the top. The elements are all there, they just didn’t go together well. It’ll come to me one morning. I think those of us without your unfortunate chemical exposure can relate and apply your insights about “brain hibernation” to our own lives. Think about how great we feel after a true, get-a-way vacation or how clear and energizing a jog can be. Our brains are on overload and need more breaks to re-charge! Feel better Laura and thanks for sharing. Laura, re: the cute idea that didn’t work, what was your intention? I can see at least two directions to go in! You can link 6 or 8 I-cords, perhaps shorter than the ones in the picture, and you’ve got the basis for a flower. Or, you can mimic the crochet granny square where the center consists of linked rings and the square is worked out from there. Paula, I added a photo in the post for you. Now it will call to me until I figure out how to fix it! 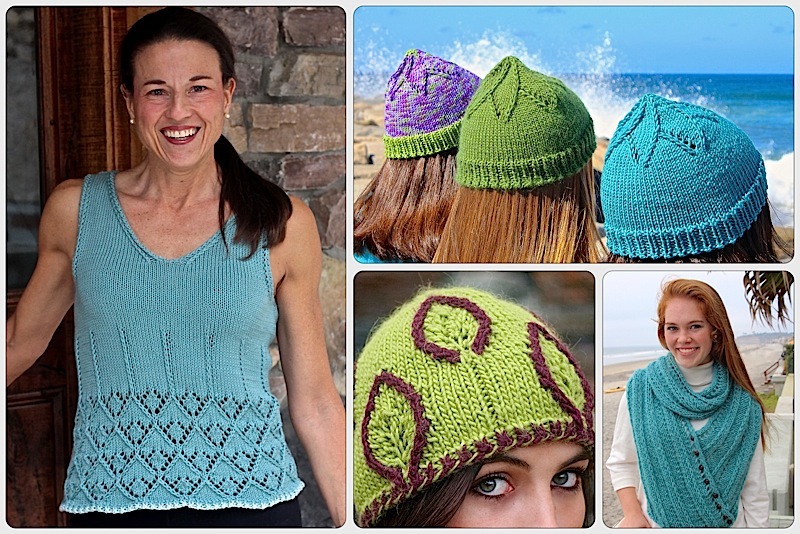 This entry was posted on April 21, 2015 by Laura Cunitz in General and tagged Knitting Nuances.